You can ensure absolute protection to your data by backing up your system to Acronis Cloud and creating a bootable media. The bootable rescue media will help you to restore your system even if it is unable to boot normally. Backup and restore with Acronis True Image Cloud is pretty simple and straightforward. To backup your system, open the Acronis Cloud by clicking the desktop icon or from the programs tray. You can start the process by clicking on the backup icon on the side bar. If it is the first backup, it will let you configure your backups and if backups already exists, click on the �Add backup� and then �Create a new Backup�. Click the backup source button to select what to backup. You can either choose Entire PC, Disc and Partitions, or Files and Folders. For the first backup it is important to choose the Entire PC. 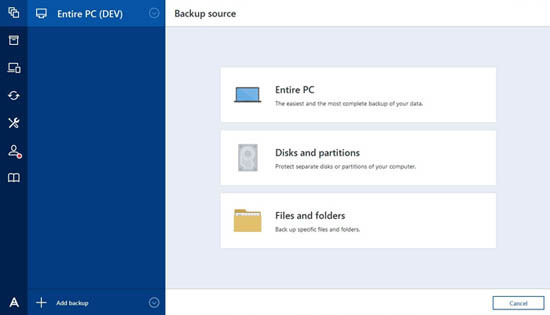 Now click on the backup destination icon to choose the storage in which you want to save the backup. Acronis True Image Cloud - can this new release from the most acclaimed data backup and recovery solution vendor provide you the features, security and storage that you expect from an ultimate offsite data backup solution? Let�s check it out in a short review! What Acronis True Image Cloud offers you? It utilizes the proven disc image based backup technology to provide foolproof protection to the users. It is trusted by millions of users worldwide and is acclaimed as No.1 disc backup technology. The new Acronis True Image Cloud comes with a refined and friendly user-interface, making it much easier to backup and restore data. The True Image Cloud offers unlimited cloud space so that you can backup your entire data across multiple devices without the fear of running out of space. It also lets you to share and transfer the backed up images, videos, contacts and events from mobile devices including smartphone and tablets, to another devices very easily. In addition to these, this wonderful tool lets you backup android messages too. 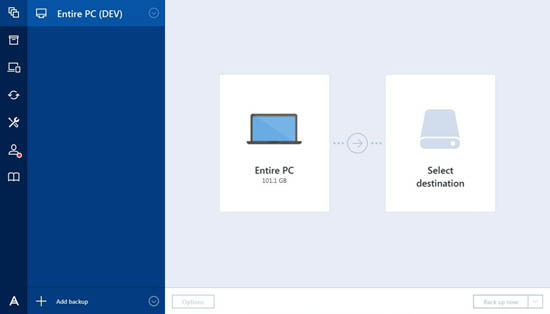 It utilizes the unique full disc image backup technology, with which you can backup your entire computer to both local and Acronis cloud storage. With TrueImage, you can restore your data into any hardware including bare metal device. It also lets you migrate your system into an entirely new hardware or transfer important data between your portable gadgets. It is a unique feature that allows you to track and manage the protection of various computers and gadgets that shares single Acronis account. It is a unified cross platform solution, which works seamlessly with Windows, Mac, iOS, and Android devices. This web-based console can be accessed from any net connected device, enabling you to start a manual backup or recover any data from Acronis Cloud. Acronis True Image offers you industry best backup and restore speeds. The new technologies incorporated make it 50 percent faster than similar tools available today. This feature allows you to free valuable disc space by saving seldom used files and large files to the Acronis Cloud and the Smart Archiving will make it easy for you to access them securely from any device, anytime. Acronis Cloud provides unchallenged security to your data. It uses AES-256 in-transit and at-rest encryption with a user-defined private key to ensure maximum protection. The software supports almost all versions of Microsoft Windows including Windows 10. It is also optimized for Mac versions including OS X. Try and decide is an unmatched feature of Acronis Cloud. It will help you to perform operations suspected to be dangerous to your operating system, files or data. When Try and Decide is turned on, you can run potentially risky operations without any fear of your system being corrupted. When you turn off Try and Decide, you can decide whether to apply the changes you have made or to discard them. It will help you to install un-trusted applications, install drivers and system updates, surf websites that are suspected to be troublesome, and open e-mails from un-known senders fearlessly. 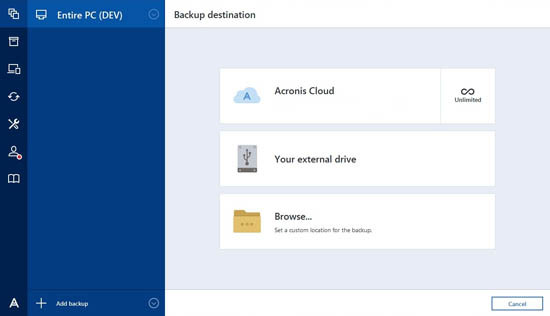 Choose Acronis Cloud and click �Backup Now� to create the backup. A new box appears in the �My Backups� list and for future backups, you can select the backup box from this list and create new versions by clicking the �Backup Now� icon. The first full backup is most important one as it contains the entire disc image and the further backup versions such as incremental or differential backups contains only the changes made in the system.